Can I ask you a question? What’s steering your ship? Your ship represents you and your precious life. Fears, inaccurate and unchallenged beliefs, and ineffective habits all try to steer your ship which leads to the inability to live your best life. Picture a boat with lots of different people rowing. One person is afraid of deep water, so they row to keep close to the shore. One person believes there is treasure so they want to go to a certain spot in a deeper location. Another rower has a goal of rowing to the other side of an island because there’s good fishing there, yet another doesn’t want to go to the island because they’ve heard there are sharks there. All these rowers want to go in different directions. Now imagine the boat is you, and the rowers are your fears, beliefs, and habits. For example, after a break-up, one of your oars wants you to go in one direction, away from the possibility of hurt; another wants to go in the opposite direction to hurt others who have hurt you, yet another wants to find love again even if it means feeling vulnerable. You may really want success and abundance; but maybe you’ve got an oar which is fearful of the consequences if you achieved success and experienced abundance. 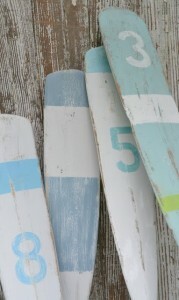 These oars can represent many different things. An oar can represent that familiar fear of not being good enough. This leads to the path of unconscious self-sabotage. The oar that fears intimacy leads you down a path of perhaps never knowing what it feels like to be in a loving, connecting relationship. You may fear your parent’s or other adult’s reactions to how you’d like to be in the world so you cover up your authentic self in fear of being rejected. Maybe you don’t want to row–you want to sail or surf, but you’re so concerned about what other’s think that you’ve compromised how you really want to be, do, or have for the sake of others’ opinions. You see a ship on the horizon and you think you should go there, then you see another and think you should be there, then another…Pretty soon you’re going in circles trying to second-guess where you should be going instead of paying attention to your own internal compass. Maybe you’re caught up in the criticism and judgment of others. You’ve been so focused on putting down others, you’re having difficulty making any kind of traction toward your own destination in life. That makes for a good distraction, and your ship suffers the consequences. You’re over in the harbor like a police boat, making sure everyone is “towing the line,” or you’re criticizing others because they are causing a wake or going to slow while you’re mumbling under your breath or bonding with others on others’ stupidity, what their boat looks like, how they have no direction and they just stay there–and guess what? You’re missing out on your own life. There are so many distractions in life that will keep you stagnant. 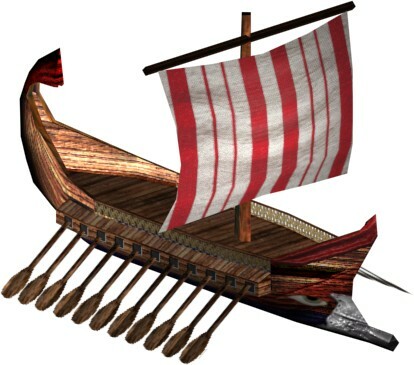 This ship of yours ends up going around in circles because there are too many oars in the water with no real direction. Your ship lacks direction because there are too many fears, inaccurate beliefs, and ineffective habits that have taken over control of your ship. You’re paying more attention to those things that keep you stuck, instead of driving forward in spite of those things. Is your ship steered by limiting thoughts? You have the power to change your thoughts. Your ineffective thoughts keep your ship in a holding pattern. Your ship is awaiting its captain. As the captain of your life/ship, you’ve got to have a powerful vision of how you’d like to be in this world. Passion fuels your ship, having a sense of direction fuels your ship, and love drives a ship. Take control of your life by recognizing that you are 100% responsible for your thoughts, words, and actions. So try this: This week if you encounter resistance in your thoughts about doing something–something that you know would enhance your life– do it anyway. Don’t give in to the thoughts, don’t give them an audience, just do it.